Dream Deferred | Group H: Homophobia, Islamophobia and democratophobia! Civil rights information is from Amnesty International, and economic stats from the World Bank unless otherwise stated. Algerian courts issued 153 death sentences in 2012, but no prisoners were executed that year. The day after Egyptian President Hosni Mubarak resigned, February 2011, the “Arab Spring” came to Algeria. Thousands marched on the capital’s May First Square but were beaten back by 30,000 riot police. The following day protestors called for weekly occupations of the square. Despite a state of emergency being called by the government, tens of thousands marched but were stopped from taking the square. These protests continued all through March. Even as late as May doctors striking against cuts attempted to take the square. Player to watch: Al Arbi Hillel Soudani. According to a Belgium refugee NGOs, over 12,000 asylum seekers, including children, were refused access to the official reception system between October 2009 and the end of 2011. They were left without shelter or medical aid, social or legal assistance. There are over 4,000 migrants living on the streets in Belgium. Amnesty International reports that Muslims face widespread discrimination in jobs, housing and education. Each year the United Nations ranks the world’s countries in its Human Development Report. Belgium consistently ranks among the top nations in its human development index that measures the quality of life in countries. The proportion of the country’s wealth owned by richest 10% is 28.1% while the poorest 10% own just 3.4% of the wealth. Unemployment is at 7.4%. “Around 30,000 people voiced their anger over cuts to the public sector. The Belgian government – like so many in Europe – is desperate to rein in its budget deficit. “Protesters marching through Brussels called for higher purchasing power as average incomes continue to be squeezed. Unions say despite the cuts, the government can still afford to provide better social conditions for workers. 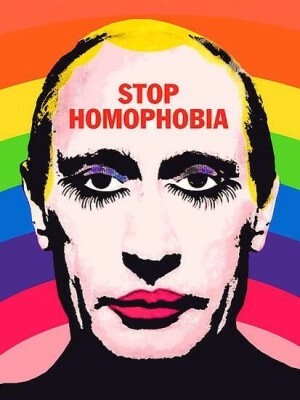 Vladimir Putin, the well known homophobe. Death penalty: Capital punishment in Russia has been indefinitely suspended. Wealth inequality in Russia is one of the world’s highest. A report by Credit Suisse says 35% of Russian household wealth is controlled by just 110 billionaires. Eight million Russians live below the poverty line. The government-enforced minimum wage currently stands at 4,611 roubles (£93) per month, despite an estimated minimum real cost of living of around 6,200 roubles (£125) per month. In December 2011, small-scale demonstrations in Russia against electoral fraud, the ruling party United Russia and Putin exploded. Russia saw its biggest protests since the 1990s as tens of thousands took to the streets. Their demands were freedom for political prisoners, annulment of the electoral results, an investigation into voting fraud and rights for opposition parties. South Korea has observed 5,000 days free of executions. But 60 people remain on death row. The richest 10% of the population have 22.5% of the wealth, while the poorest 10% have 2.9%. Half of South Korea’s elderly people are poor, the highest rate in the industrialised world. Some live in crumbling hillside neighbourhoods that lack running water. Others wait in line at soup kitchens where there is no young face in sight. The worst-off comb through garbage, collecting cardboard and paper and lugging it to rubbish dumps, where they can receive several dollars for a pile. The percentage of the population living below the poverty line: 16.5% (2011 estimate by Index Mundi). The newspaper Workers World reported that thousands of South Korean railway workers ended a strike on 30 December 2013 after three weeks of intense struggle against the right-wing, anti-labour regime of president Park Geun-hye. It was the longest strike in the history of Korail, the national rail company. The Korean Railroad Workers Union began its strike on an 80 percent strike vote on 9 December – the day that Korail fired more than 4,000 workers and announced a plan to hire 660 scabs. The workers and their union saw the government’s restructuring plan as threatening the privatisation of the railways, with the loss of jobs, benefits and services. The strike quickly developed into one of the sharpest worker-government conflicts in the recent past, attracting support from the national union confederation, the KCTU. Solidarity demonstrations, rallies and other actions were held in Australia, Japan, Indonesia and Brazil – and even one in San Francisco organised by the Transport Workers Solidarity Committee. Great series of posts. 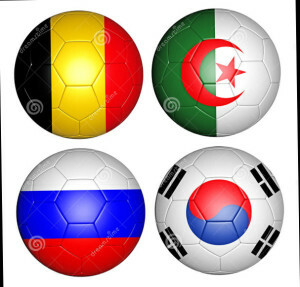 I have Belgium in the sweepstake at work, only mildly reassured to see they are possibly the best of a very bad bunch in this group! Thanks Rebecca for the kind words and good luck with the sweepstake, Belgium have a good outside chance. Hi Rick, thanks for the kind words. 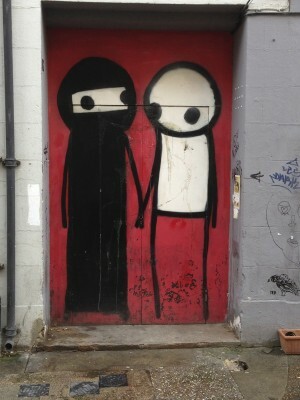 I agree with you that the enemy is always at home, but I don’t believe that can be the only thing we can say. I was not trying to construct a league table of oppressive regimes. My main point was behind the Samba and soccer each nation has massive economic inequality and civil rights abuses. It shock me that seven of the countries still have the death penalty. I believe with a stroke of a pen this could be stopped. All FIFA and the Olympic Committee would have to say is that the death penalty is incompatible with the Olympic/world cup ethos! Likewise I wasn’t trying to develop a table of struggle. Some of the stories I told in that section were about big mass struggles, others small scale resistance. I just wanted to say that despite all the obstacles people are resisting. My last point was at a time of rampant nationalism, its right to put the case for internationalism forward.